The wizard in the previous step only generated a starting point. Now, we must add additional files that we would like to have in our template. 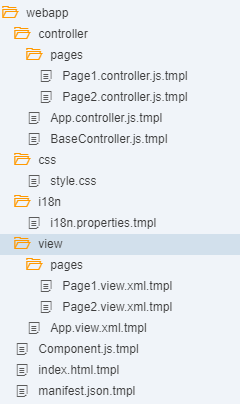 The “Component.js” file was missing in the generated template, so let’s start with that. 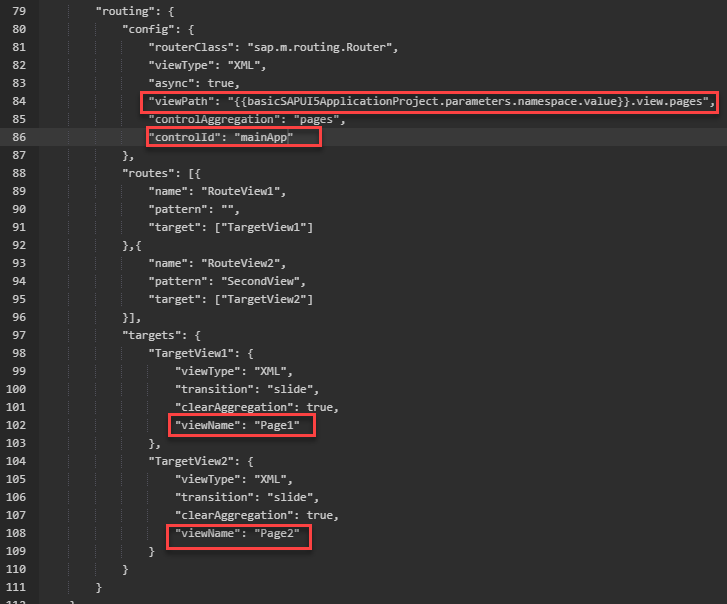 This will be replaced with the namespace during the generation of the template, it’s a reference to the namespace field in the template wizard. 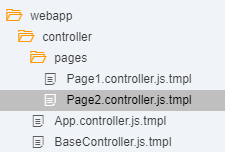 Use the namespace reference for creating the name of the controllers. At the top of the controller, add a reference to the basecontroller. We’ll use the formatter “formatNamespace” to replace all the “.” with “/”. Now we’re going to update the template of the “Manifest.json” file. 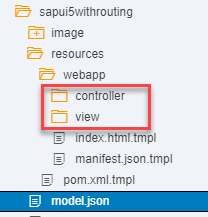 We’ll change the rootview and configure the routing between the two views. One last step, we need to define the handlebar functions. 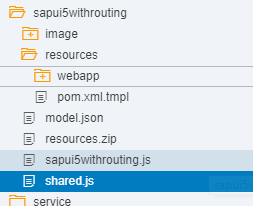 Therefore, we create a file “shared.js in the “sapui5withrouting” (can be different, depending on the name of your template) folder. 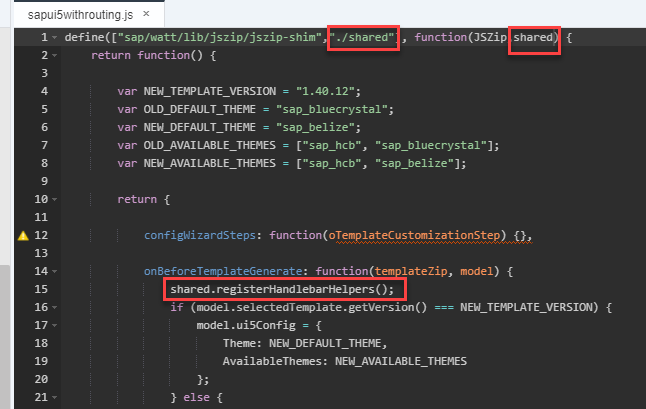 Include this “shared.js” file in the “sapui5withrouting.js” file. (This can be different, depending on the name you have chosen for the template). In the “onBeforeTemplateGenerate” function, you call “shared.registerHandlebarHelpers()” . This will register the handlebar functions. Can you please elaborate on where the prefix “basicSAPUI5ApplicationProject” comes from? Do we use this prefix for templates based on any app type i.e. “CRUD Master Detail” app? Can this prefix be anything we choose or does it have to be exactly that? Good question, here in this blog series it is generated by extending an existing template. But you can change this. 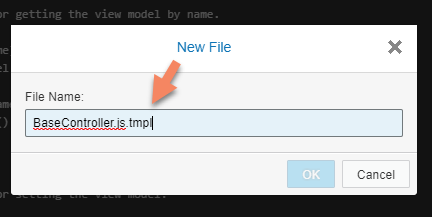 It’s a reference to the root model which you can change in the plugin.json. Hello, world (and author). 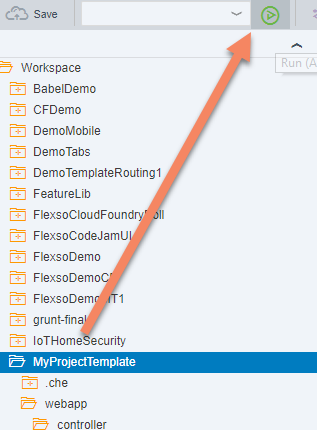 Can I add footer to application in SAP IDE based on one of default tmp? How? Not sure what you want to do, but I think yes. Very nice feature Wouter. Thank you for your effort and explanation.